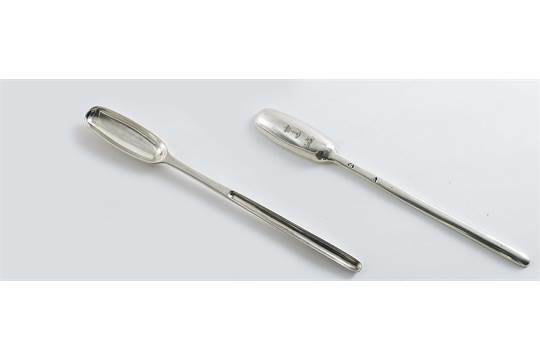 What was possibly a world record price for a piece of Kinsale flatware silver was scored at auction at Lawrences sale of silver and vertu at Crewkerne in Somerset, England today. A c1730 marrow scoop by William and/or Joseph Wall Kinsale sold for £8,000 at hammer over an estimate of £2,500-3,500. The scoop has an engraved crest below another crest and a Baron’s coronet. This entry was posted on Tuesday, April 9th, 2019 at 11:00 am	and is filed under Uncategorized. You can follow any responses to this entry through the RSS 2.0 feed. You can leave a response, or trackback from your own site.